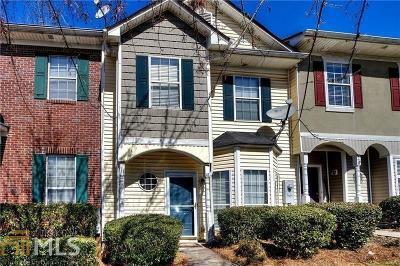 Rare 3 bedroom town home in the city! Great floorplan. You will love the open kitchen with large pantry and stainless appliances that remain w/the home! Nice living room with laminate flooring and bay window. Tile flooring in kitchen and bathrooms. Upstairs you will find 3 bedrooms &2 baths. The back yard has a small storage shed. HOA will take care of yard maintenance! Newer water heater. All this & a great price & just minutes to everything!! City Schools. Tenant in place & will be there until November. Need a lot of notice to arrange showings. Directions: I-75n To Exit 288, Left On Main Street, Right On Hwy 41, Right On Martin Luther King Drive, Left On Rowland Springs Road, 1st Right Into Timber Ridge, Home On Left.